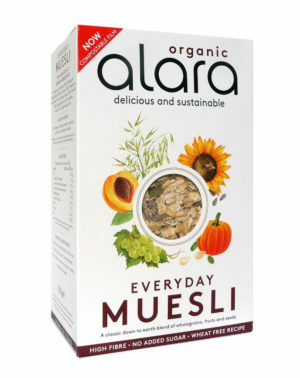 Pure wholegrain oats bursting with luscious fruit. 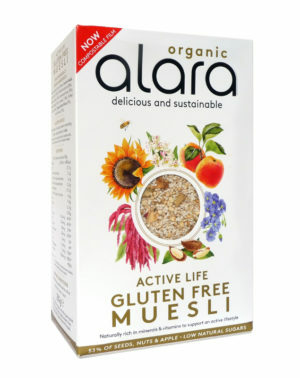 A beautiful balance of gluten free oats with luxurious fruit and seeds. Our oats have a characteristic creamy taste, which is complemented by the raisins, sultanas, apricots, dates and the goodness of seeds. 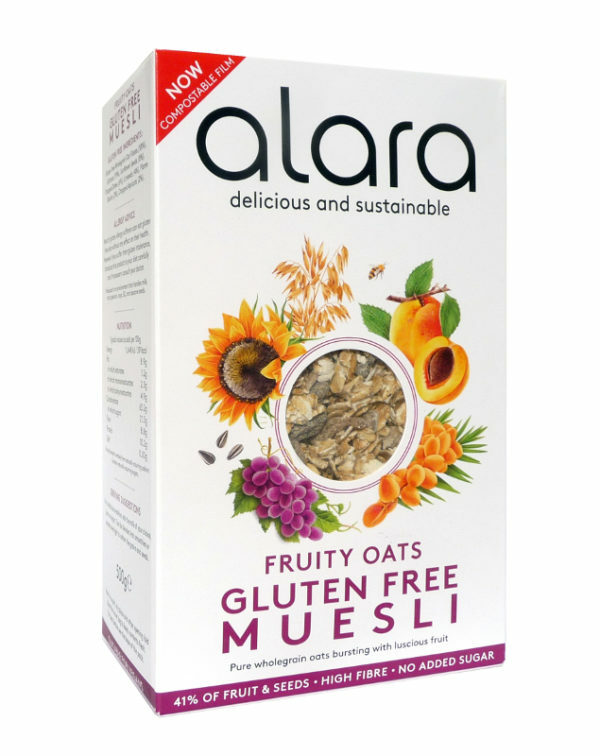 With 41% fruit and seeds added, Alara Fruity Oats is a treat, hot or cold, or a delicious, nutritious snack. 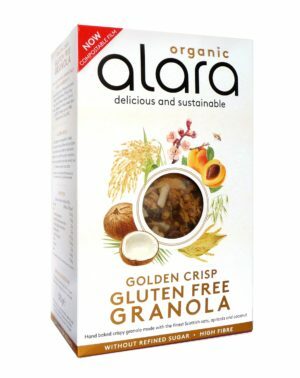 Gluten Free Wholegrain Oat Flakes (58%), Sultanas (19%), Sunflower Seeds (8%), Chopped Dates (6%), Linseeds (4%), Flame Raisins (3%), Chopped Apricots (2%). 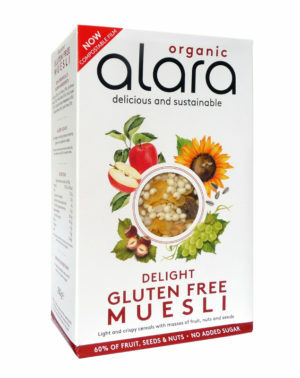 Most of gluten allergy sufferers can eat gluten free oats without any effect on their health. However if you suffer from gluten intolerance, introduce this product to your diet carefully and if necessary consult your doctor.